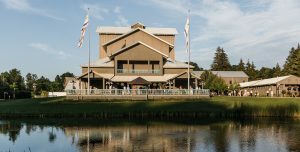 The Glimmerglass Festival receives coverage from local and regional publications, such as The Freeman’s Journal and the Albany Times Union, as well as national and international publications, including The New York Times, The New Yorker, Opera Canada and Financial Times. Feel free to peruse the press site for more information for your story, or contact us. All Glimmerglass Festival announcements are posted as they are released. If you are interested in being added to our media mailing list, please contact Caitlyn Syman at csyman@glimmerglass.org. Access recent press releases here. The Glimmerglass Festival has been featured by a wide array of news sources. Find recent news coverage and reviews organized by year below. The Glimmerglass Festival has been featured by many news sources. Find a recent assortment below. 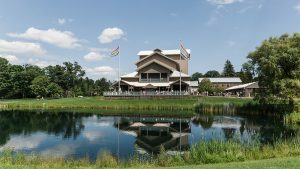 Glimmerglass 2018: Sense and Centennials in the Field of Dreams. Witches! Thieves! Cutthroats! At Glimmerglass! 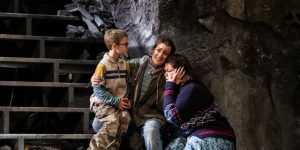 Glimmerglass Festival 2016 – Opera for the Inner Birdwatcher…and the Rest of Us! The images made accessible through this website are made available to members of the media for purposes relating to The Glimmerglass Festival and its events only; photos may not be used for advertising or commercial purposes without the written permission of The Glimmerglass Festival. When using downloaded photos, please always include photo credit information. Contact blesavoy@glimmerglass.org with questions. Click here for photos of the Festival’s Alice Busch Opera Theater.